Sarah is a Lexington, Kentucky native that has been in the cosmetics industry for ten years. She has received extensive training from some of the world's leading cosmetic companies, including Chanel and MAC. Her work has been featured by Kentucky Bride Magazine, Bridal Bliss Magazine, TOPS in Lexington Magazine, Wedding Wire, and Junebug Weddings among other publications. As one of the most sought-after wedding makeup artists in Central Kentucky, Sarah books over 40 bridal parties a year. 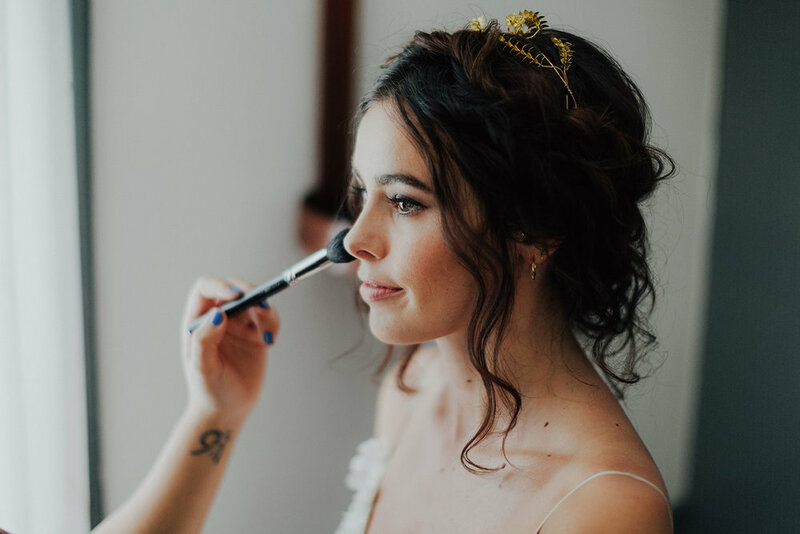 Her main focus is to use makeup to enhance your natural beauty and help you become the most confident and beautiful bride on your special day!